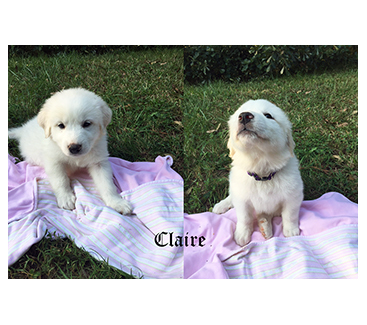 Hey there, I’m a sweet little gal named Claire. 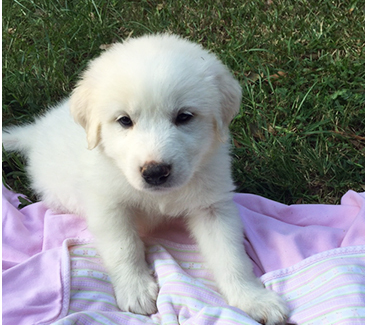 I’m one of Malia’s pups and ready to go forth and have fun with my new family when it’s time! If you are interested in adopting me, fill out the adoption application and in just a few weeks, I will be ready to go to my forever home.